By now you may be scrambling to find gifts for your friend or better half. If that person is a runner, triathlete or biker, maybe I can give you a few ideas. To the untrained eye, these may seem a bit cheesy, but trust me, if you want to get them something that they need and will actually use, then think about these. Not only are they practical and show that you’ve put some thought into their love of sport, but may even add a few snickers on Christmas morning. You can find most of these at your local running or other sports-oriented store and maybe even online. I’m a firm believer of supporting local shops, so definitely try them first. (Throughout, I’m referring to your athlete as “him”, but can be very well a “her”). 4. 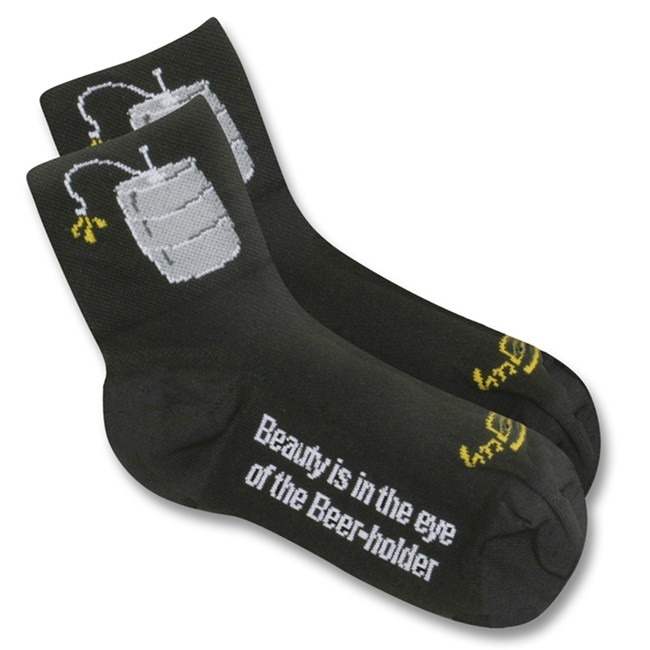 Socks – Yep, you heard right. The same gift we used to dread getting when we were kids is a cool gift now. Well, they’re cool if you get the right socks. As long as they are for riding, then you can’t go wrong. There’s many to choose from out there, but the best ones come from DeFeet, Sock Guy, Sugoi, and Pearl Izumi to name a few. You score extra points (and laughs) if you get some with a cool saying or picture on them. Can’t settle on the funny ones? Go a little more practical with Merino wool socks from Orange Mud (great this time of year) or compression socks which aid in recovery after a long workout. Want to go with a completely American made sock? Then check out Farm to Feet. 8. Co2 cartridges – If he’s a biker of any sort, having extra Co2 cartridges handy will ensure he has a way to fix a flat. It may take a little bit of snooping to figure out if he needs the threaded or non-threaded type. Just check his current stash (usually in his seat bag or where he keeps the rest of his stuff). If you can’t figure it out, go with threaded. If it’s the wrong type, he can easily swap it out with the right ones at his favorite shop. Go with either 16oz or 20oz. www.GenuineInnovations.com or your local bike shop. If you found this list helpful, please vote for me in the #RunUltraBlogger awards (please scroll all the way down to complete the vote). Next Post: New XTERRA Point System – Good or Bad?